By party seats in their legislature, the Knesset ? Netanyahu has an advantage over Benny Gantz in getting the required 61 seats…..
That advantage will be from rightwing support that excludes the 20% of Israeli’s that are Arabs…. Bibi Netanyahu has been put on notice….. The Israeli leader will have to face criminal charges it appears also…. • Prime Minister Benjamin Netanyahu was in position to win a fourth consecutive term on Wednesday, with nearly all of the votes counted. But the race was extremely tight, and his main rival, Benny Gantz, had also claimed victory, though he later tempered expectations. • When the ballots are fully counted, it will be up to President Reuven Rivlin to choose the party leader he believes has the best chance of assembling a parliamentary majority. 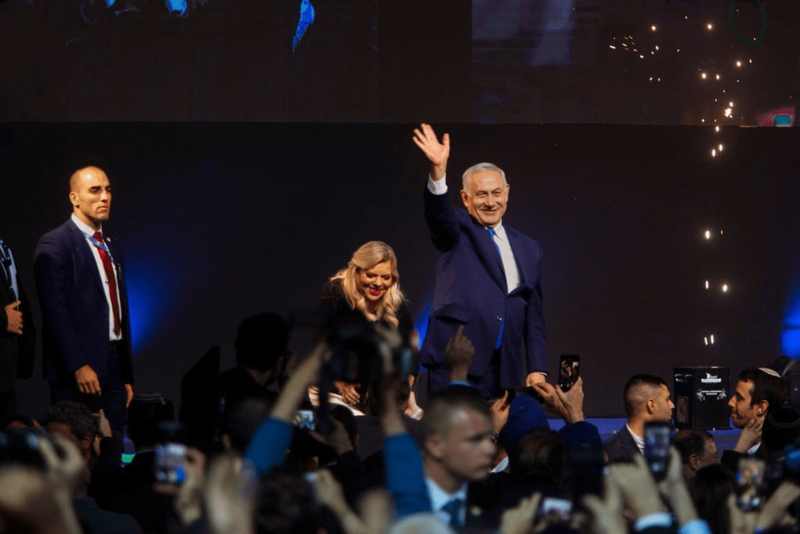 Mr. Netanyahu’s Likud party and Mr. Gantz’s Blue and White alliance were running neck and neck, but a count of the broader blocs supporting each party gave Likud a clear advantage in being able to form a governing coalition. • Regardless of the final result, the election appeared to be a grave scare for Mr. Netanyahu, 69, who has led Israel for a decade of relative security and prosperity. More than a million Israelis voted for Blue and White, a record for a new party, placing it in the position of being the main alternative to Israel’s right wing, a spot once held by the Labor Party. “It’s an unbelievable, tremendous victory,” Netanyahu said, with his wife, Sara, at his side. If he remains in power, Netanyahu would be in a much stronger position to fight the charges and draw out the legal process, analysts said. If he forms a new government and survives until July, he will make history, becoming the country’s longest-serving prime minister, outstripping Israel’s founding father David Ben-Gurion….